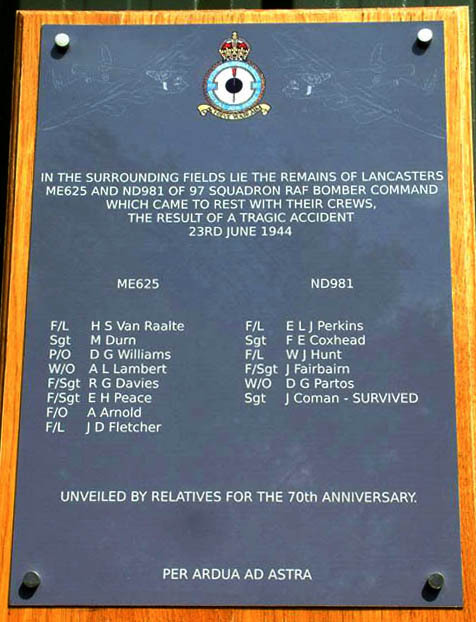 I recently wrote about the collision of two Lancasters from 97 Squadron on June 23rd 1944 in the sky above Crowland in south west Lincolnshire, as they practiced formation flying. Seventy years later, on June 23rd 2014, a ceremony was held to commemorate the sacrifice of these young lives. Years ago, a simple wooden cross stood alone in the middle of a field to mark the exact site of the crash, but by 2014, it was long gone. Their researches have ensured that the exact location of the old wooden cross, marking the crash site, was rediscovered. 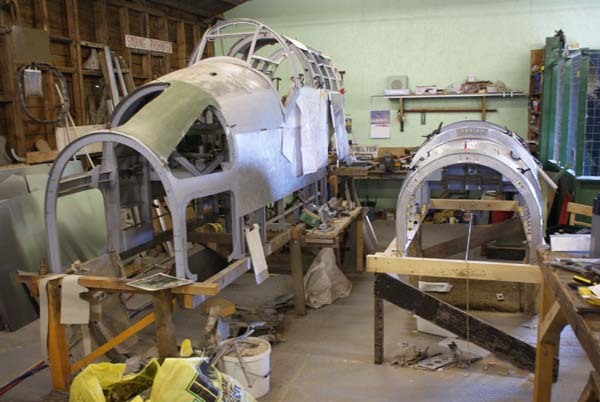 The wreckage they recovered is now on display at the Lincolnshire Aviation Heritage Centre, the home of LARG. 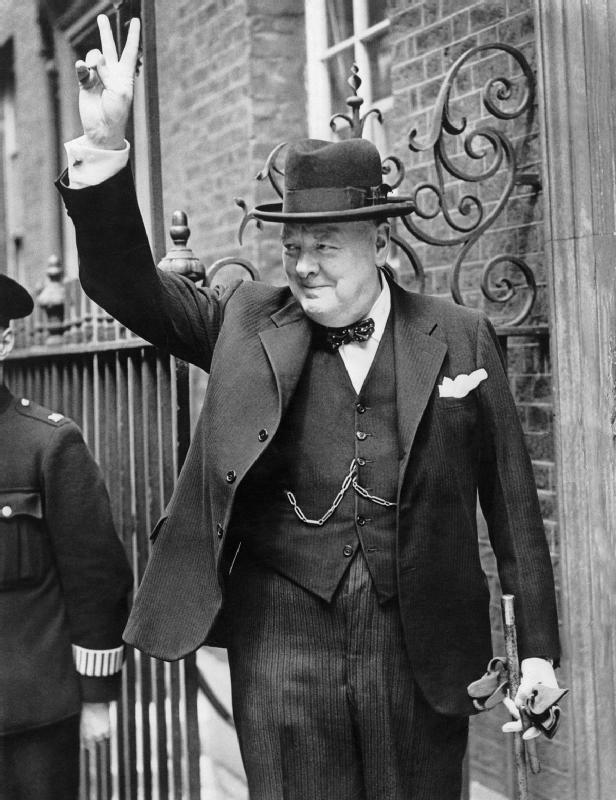 Needless to say, as I was not a witness to all of these dreadful events, this article could not have been written without using the series of excellent books by W.R.Chorley, and a number of other websites. 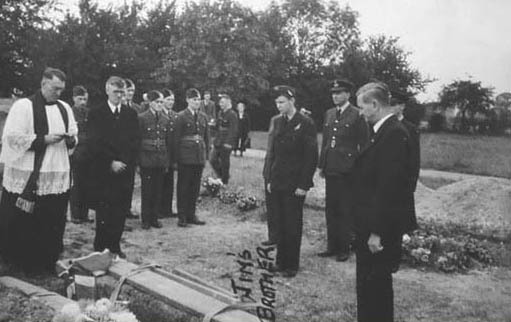 Flight Lieutenant John David Fletcher was buried in Cambridge City Cemetery on the Newmarket Road. 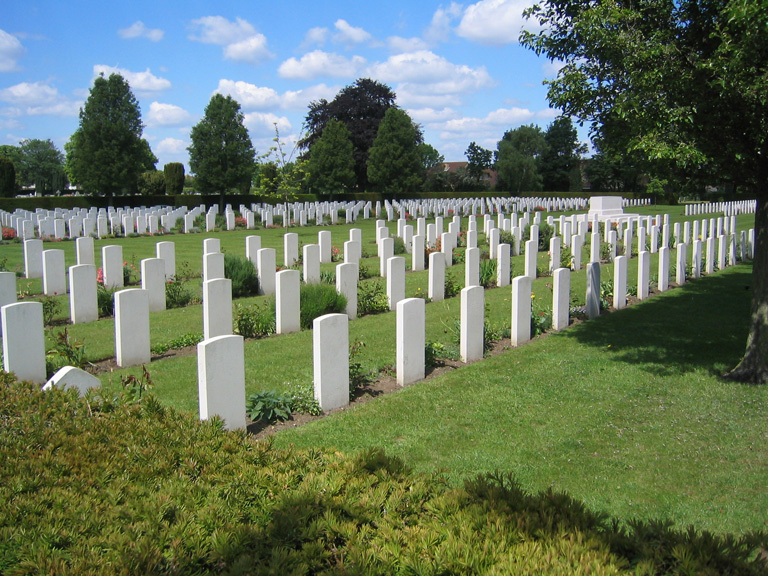 As well as John Fletcher, four other casualties were buried in this cemetery, the rest being taken back to the cemeteries near to their homes. Flight Sergeant Maurice Durn, the Flight Engineer, is buried in the churchyard of St Bartholomew’s Church in Marsden. He was only 21 years of age, the beloved son of Norman and Clara Durn, of Marsden, and the much loved husband of Mrs Dorothy Durn, who lived in the same village in West Yorkshire, seven miles west of Huddersfield. 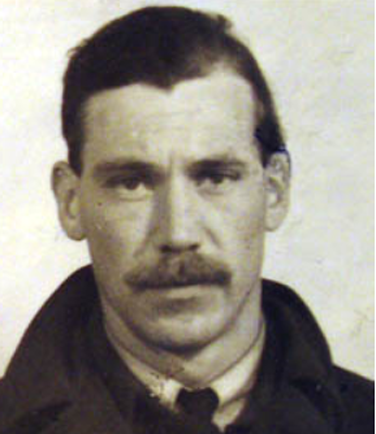 Pilot Officer David Gethin Williams was the navigator. He was the beloved son of Gwilym and Dorcas Ann Williams, of Blaengwynfi, a village in the Port Talbot area of South Wales. 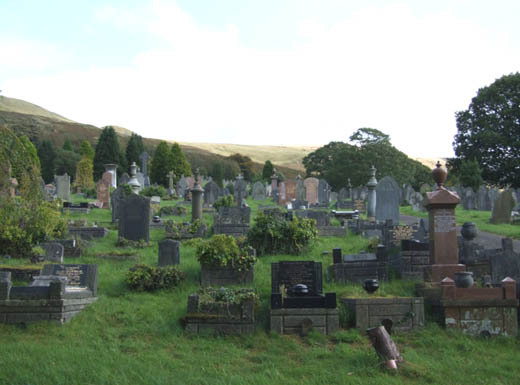 He is buried in Plot T, in unconsecrated ground, in Rhondda (Treorchy) Cemetery. 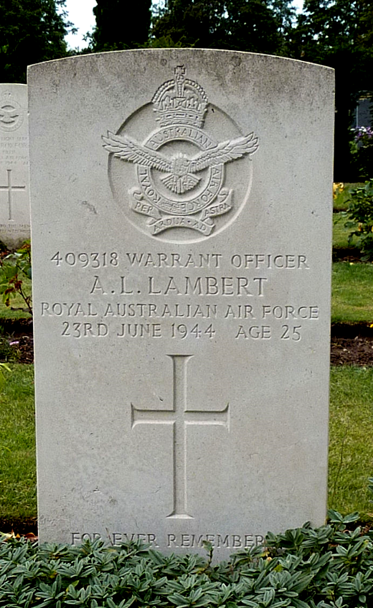 The Bomb Aimer, Warrant Officer Alfred Leonard Lambert of the Royal Australian Air Force was 25 years old when he died. He was the much loved son of John Leo and Rhoda Lambert and the beloved husband of Stella Irene Case Lambert, of Eastwood in New South Wales, Australia. 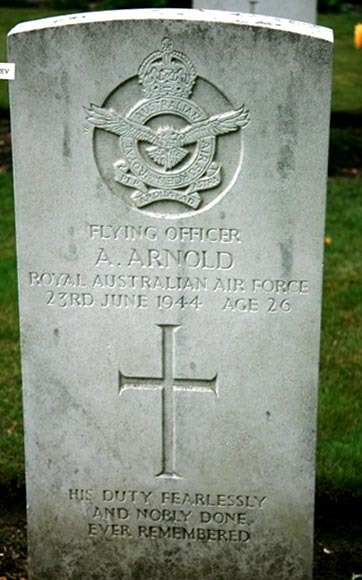 Flying Officer Alan Arnold was the Second Bomb Aimer, He was also a member of the Royal Australian Air Force and was aged just 26 at the time of his death. 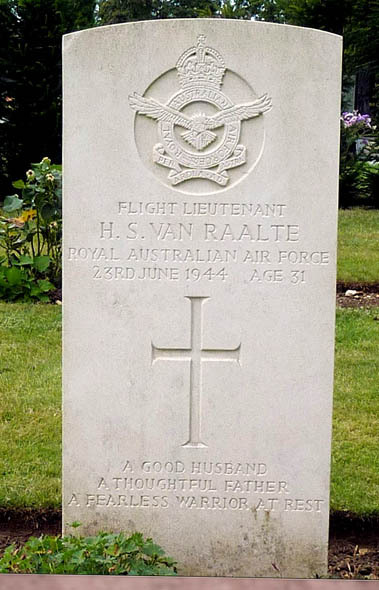 Alan was the much loved son of Edward and Lillian Evelyn Agnes Arnold, of Pascoe Vale South, Victoria, Australia. He was apparently flying as a visual air bomber. He too is buried in Cambridge City Cemetery. 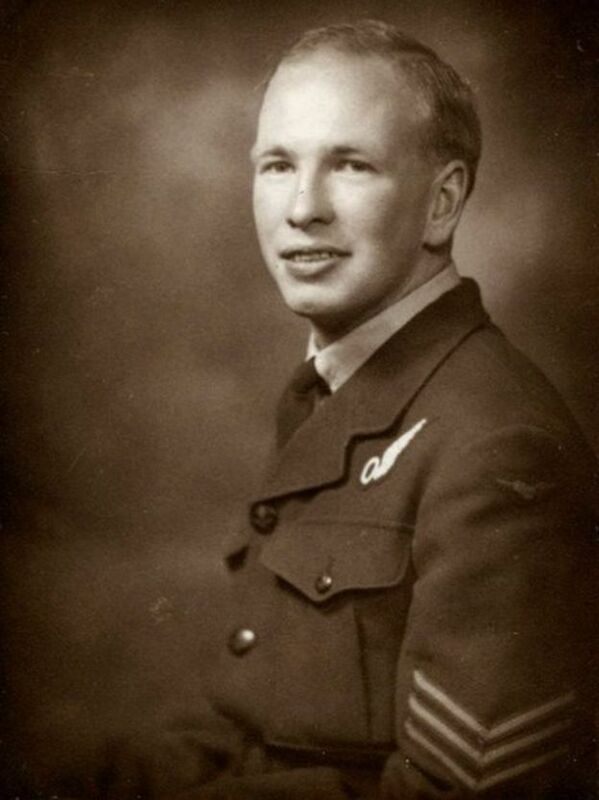 Flight Sergeant Eric Henry Peace was just 21 years of age. He was the wireless operator, the beloved son of Ernest and Ethel Maud Peace of York. He too is buried in Cambridge City Cemetery. The mid-upper gunner was Royston George Davies, aged just 22, and the much loved son of Gerildis and Gwenlian Davies, of Treorchy. He was the husband of Phyllis Mary Davies, and they lived in Cwmparc, Treorchy. Just like the navigator, David Gethin Williams, Royston is buried in Rhondda (Treorchy) Cemetery, both graves in sight of each other. Only one man was to escape alive from this horrendous collision, everybody else being killed. Flight Lieutenant Perkins, the pilot, was buried in Cambridge Cemetery, but I have been unable to trace any further details whatsoever about him. 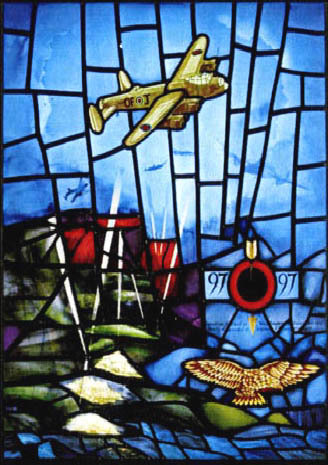 The Flight Engineer was Sergeant Frank Ernest Coxhead, aged 20, of Somercotes in Derbyshire. 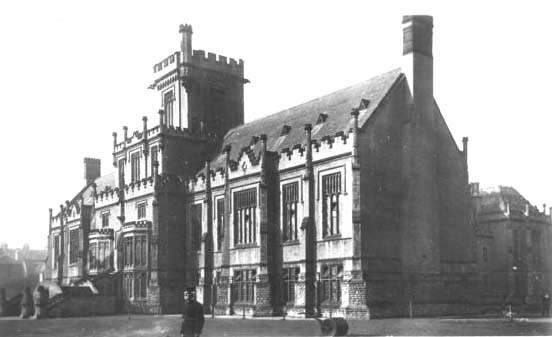 He was the much loved son of Frank Percy and Martha Coxhead. Frank is buried in Lea Brooks Cemetery in Alfreton, Derbyshire. 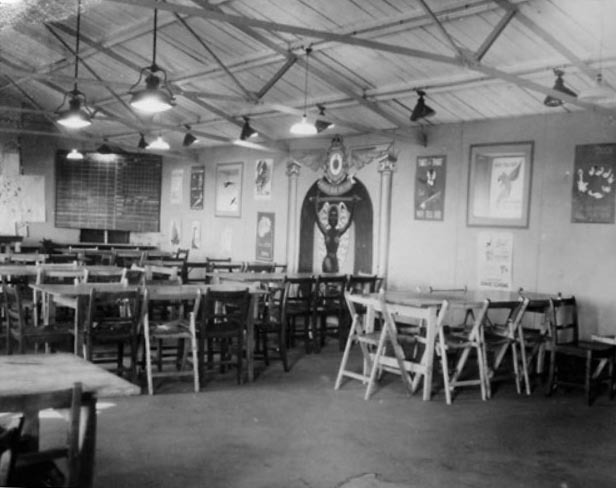 The wireless operator was Flight Sergeant Coman, with the first name John or Joseph, depending on where you look. Of him, more later. 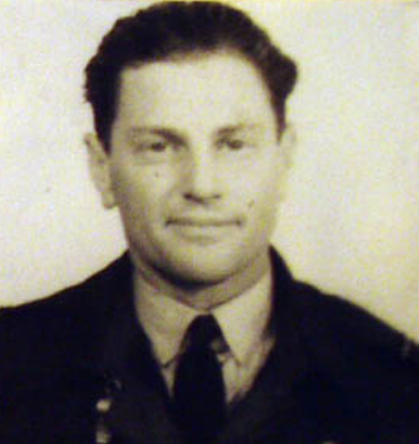 The mid upper gunner was Warrant Officer Denis Gilbert Partos. He was 23 years old, and the much loved son of Francis Ferdinand and Pauline Partos, of Southgate, Middlesex. John is buried in Southgate Cemetery. 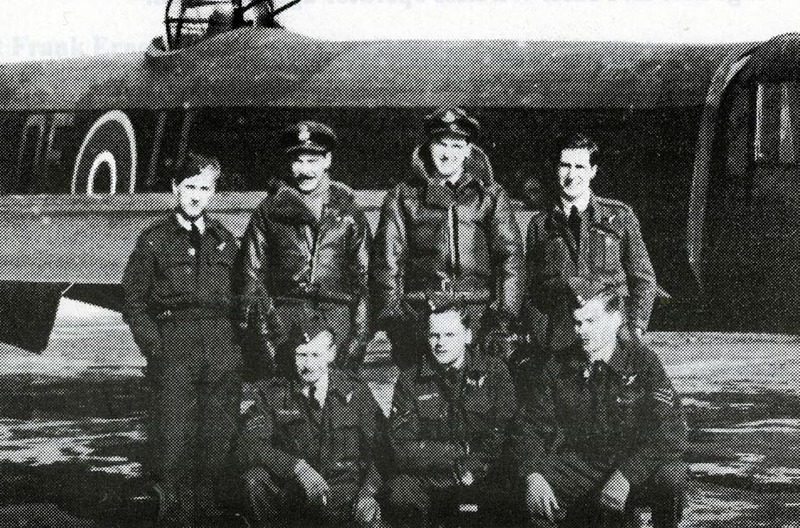 Denis died without knowing that he had been awarded a Distinguished Flying Medal. The news only came through in the London Gazette on June 27th. I cannot trace a rear gunner for ND981 on this particular occasion. Some sources give it as John David Fletcher but that is clearly an error. Perhaps the aircraft flew with just six crew members. 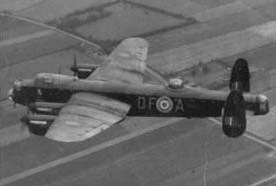 The only man to survive the crash was Flight Sergeant Coman who was the wireless operator of Flight Lieutenant Perkins’ Lancaster. 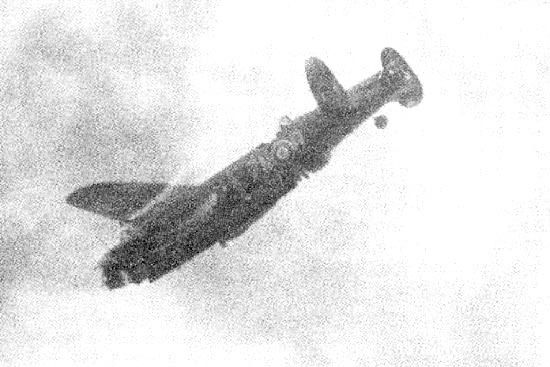 Coman jumped out of the stricken bomber as it broke up and managed to get his parachute open. 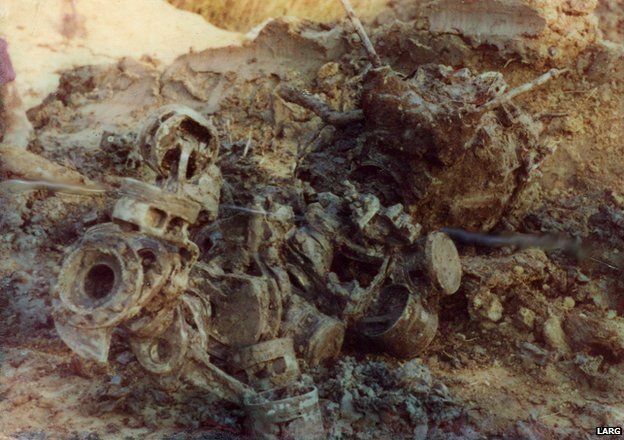 He was badly burned by parachuting down almost into the burning wreckage of the two aircraft. He owed his survival, it is thought, to the fact that he was conceivably blown upwards by the force of the explosion of the burning wreckage on the ground and was, therefore, able to open his parachute and come down safely. 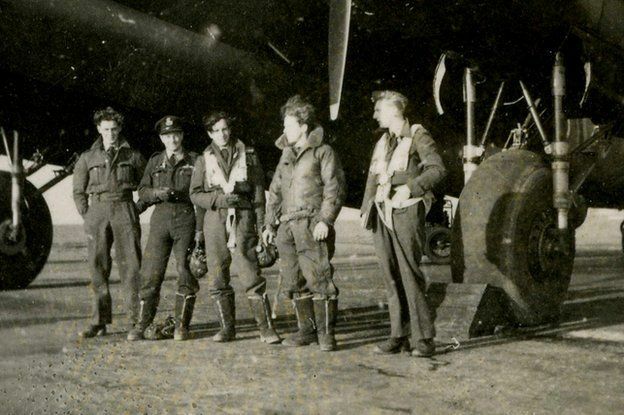 After his almost miraculous escape, poor Flight Sergeant Coman left the squadron and, in actual fact, was to die of tuberculosis not too long after he left the RAF. According to at least one website, he was so traumatised that he was never flew again after the tragic events of Friday, June 23rd 1944. (not surprisingly, you might think). 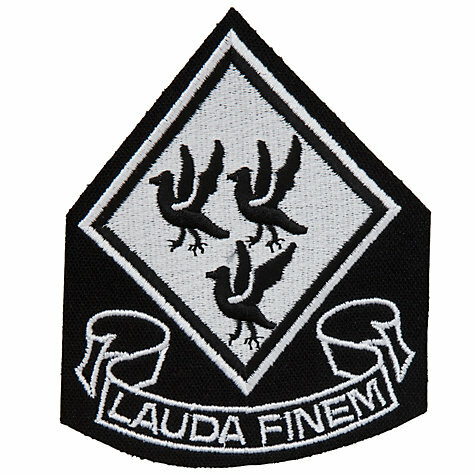 Old Nottinghamian, John David Fletcher had intended to make his living by farming poultry when he left the RAF. The final part of this sad tale to follow in the near future. John David Fletcher was the beloved son of John Tabberer Fletcher and Dorothy Fletcher when he was killed at that tragically early age of 24. John was old enough to be have a pretty, young wife, however. He was the beloved young husband of Joyce Loretta Fletcher. This lady, his widow, in actual fact, was to die only in 2001, almost sixty years afterwards. They spoke to eyewitnesses both on the ground and in the air and gradually pieced together exactly what had happened. 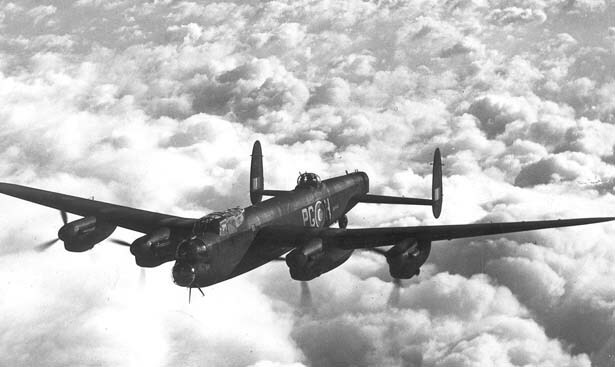 Unusually for Bomber Command, therefore, the circumstances of this catastrophe are very well documented. 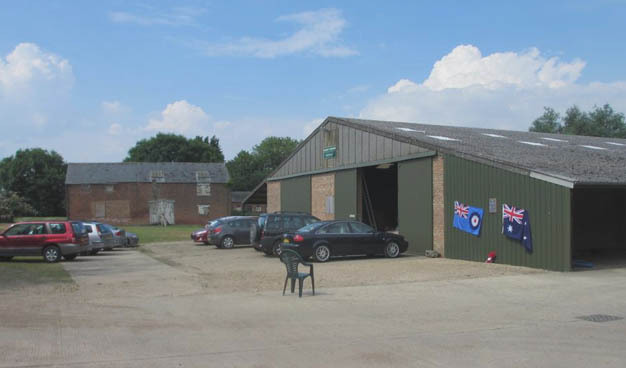 The two aircraft spun out of control and both of them crashed in flames at Cloot House Farm on Deeping Fen. They did not ever fly in formation. William Smedley, of Postland Road, was called to the crash scene as a St John Ambulance volunteer. Part Three to follow in the near future. 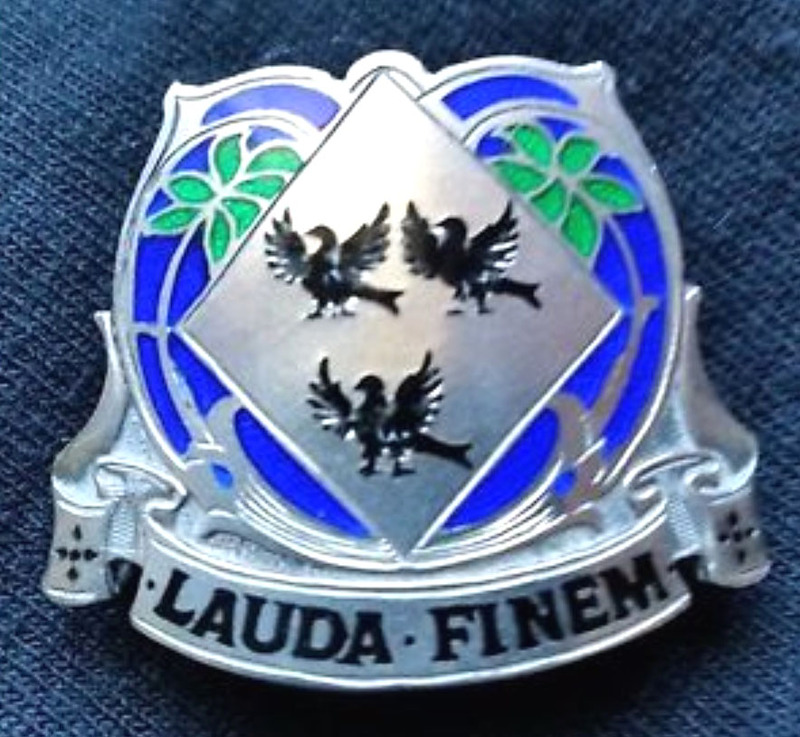 John David Fletcher entered the High School on September 17th 1931. He was born on March 22nd 1920. He was eleven years old. 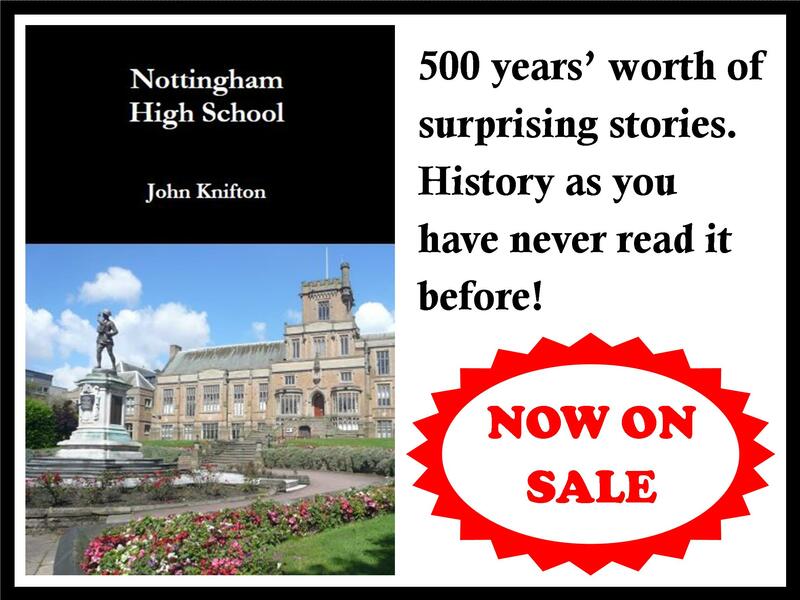 His father was John Fletcher, a Captain in the Royal Artillery Reserve who lived at 16, Edingley Avenue in Sherwood, Nottingham. 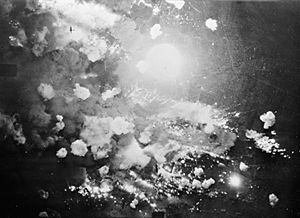 By April 1943, they had become a Pathfinder Force squadron, tasked with using flares to mark targets for the rest of the bombers. 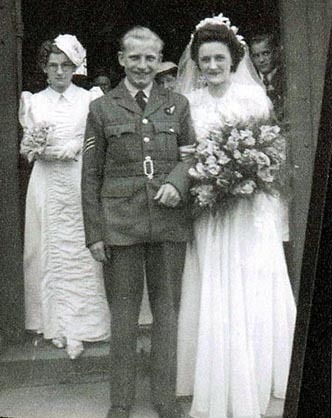 By now, John was Flight Lieutenant Fletcher, serving as a Rear Gunner on a number of raids over both France and Germany. 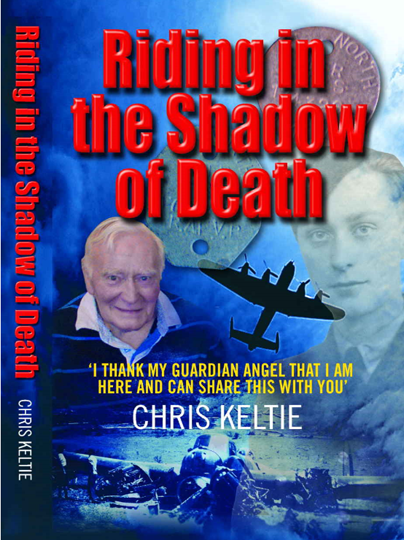 In actual fact, John made a very promising start to his career as a rear gunner, a “tail end charlie”, one of the most dangerous jobs in any armed force during World War Two. At one point, there was a life expectancy on active service of a mere four operations, or perhaps two weeks, for every Rear Gunner. 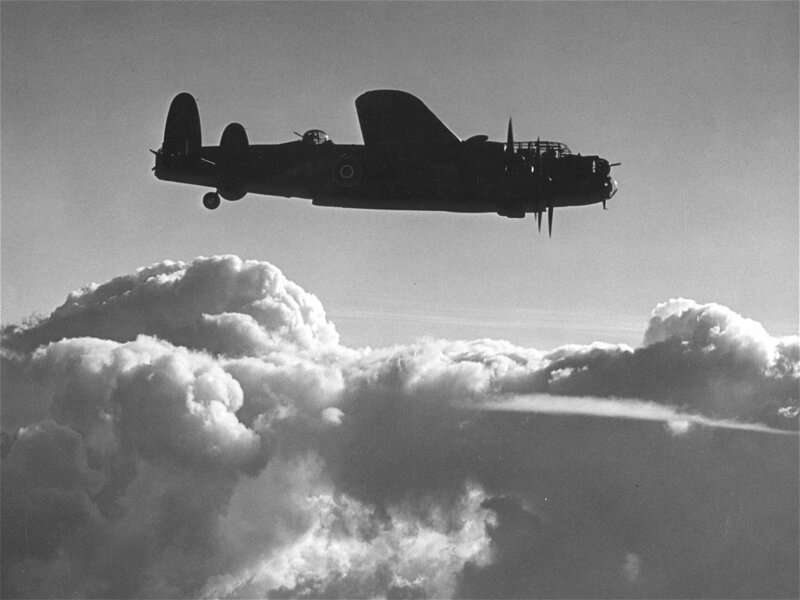 A search through the Operations Book for 97 Squadron shows what he did in terms of operations. He was involved mostly in bombing communications targets in France to prevent the Germans moving troops to oppose the D-Day landings. ND346O Up 2204 Down 0343. 6 clusters 7” flares, 8 x 1000lb MC, 3 x 4.5” flares. Very slight haze, nil cloud, vis good. RSFs seen on target. Original Oboe marker wide, then one RSF dropped on aiming point; this was backed up by more RSFs. 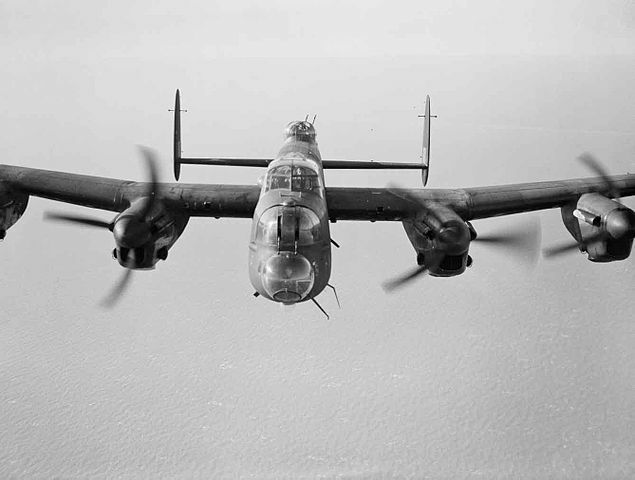 Early bombing was wide but later improved and sticks were seen to burst across the RSFs. Bombing on whole very successful and two definite areas of fire resulted. ND452S Up 0040 Down 0517. 6 x 7” cluster flares, 8 x TI RSF, 3 x 4.5” reco flares. Weather and identification as above. Two first RSF were on aiming point but just off the hangars at 0250 hours. Ordered to back this up and out own fires were seen to fall right on hangar buildings. Other backers up well placed but one slightly undershot. Most of bombing very accurate. Some explosions seen, one appeared to be a fuel dump. ND452S Up 2204 Down 0104. ND346T Up 2316 Down 0255. 11 x 7” clusters, 3 x 1000lb MC, 3 x 4.5” reco flares. Located target by flares and RSF through 8-9/10ths cloud. First run, one or two RSF near target. Flares scattered. Yellow markers not seen. Glow seen through cloud only. 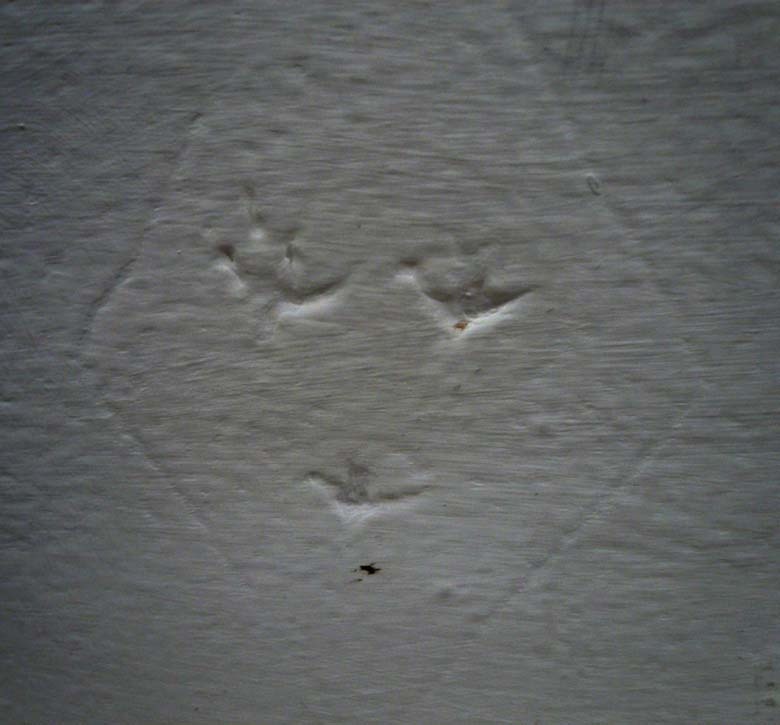 Identified target on second run. No spot fires at all. Raid called off 0125 hours. Gee faded out at enemy coast until re-crossing on return journey. ND346T Up 2251 Down 0257. 12 x 7” flares, 1 x 2000lb HC. Gee u/s after 3 degrees east at 2347 hours. Icing experienced in very thivk cumulus 5217N 0121E, 2316 hours, 6,000’. 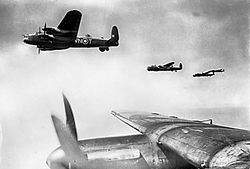 Endeavoured unsuccessfully to avoid; late at enemy coast, crossed at 12,000’, got off track, ran in to large belt of searchlights, lost 30-40 minutes trying to break through and decided too late to reach target in time to bomb anywhere near H-hour, so decided to return to base. Soon afterwards, Bomb Aimer found unconscious. Navigator took over H2S and soon discovered correct position. Gee came in again at 0209, thence plotted on Gee. Bomb Aimer still in complete daze when aircraft landed at base. NE625O Up 2256 Down 0218. 12 x 7” clusters, 2 x 1000lb MC, 3 x 4.5” reco flares. Received orders to abandon exercise 0038 hours on VHF. Confirmed by W/T at 0039 hours. ME625O Up 2357 Down 0301. 12 x 7 x 4.5” clusters, 2 x 1000lb MC, 3 x 4.5 reco flares. Slight ground haze. Target identified by Gee. First flares dropped about ¾ mile west of town. Two minutes later more flares called for, which fell over town; RSF then put down. At 0145 hours, VHF order and two red verey cancelled. At 0153 ordered to bomb on or near RSF. Appeared very good attack. A small but important wireless station just south east of the Cherbourg Peninsula. ME625O Up 2307 Down 0241. 9 x TI Green No 23, 1 x TI Green No 16, 2 x TI Yellow No 16, 1 x 4000lb HC, 2 x 500lb MC. Weather clear, visibility good. Target identified by red and green TI. On arrival aircraft was too close to make accurate run on first red TI (down at 0058.18 hours). So made second run and backed up green TI with bombs because Controller said marking was okay, so third run was unnecessary. Only one backing up wave was requested or needed. Second Oboe TI red fell at 0059 hours. First red was on target and second to north of it. 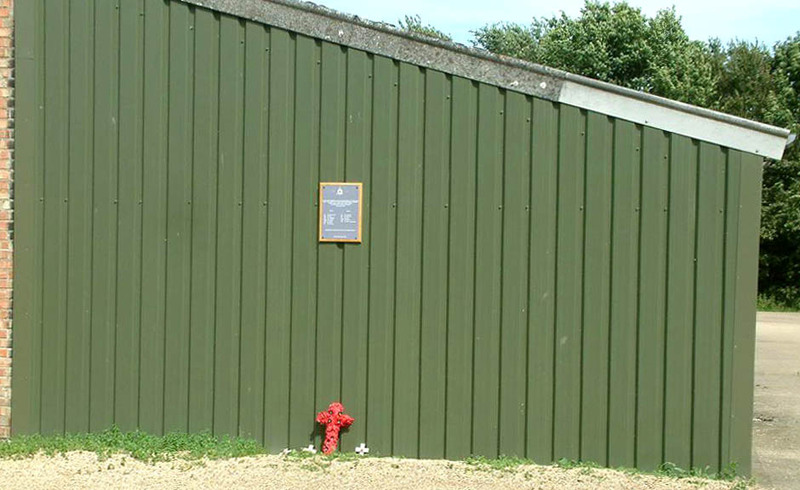 Green TIs covered whole target area between red TIs and Main Force bombing almost obliterated first marker, so aircraft actually bombed second red TI. Target disappeared under smoke and bomb flashes. One or two bombs fell in sea but concentration appeared good and accurate. No wind correction was necessary; Controller appeared satisfied from the start though no assessment was heard. No second backing up wave requested. 10 x TI green No 16, 4 x 1000lb MC. 7/10ths cloud at two layers at 10,000’ and 5,000’. Visibility fair. Located target by red TI. Oboe marker could not be seen, aircraft orbited and as it was 13 minutes late on run, dropped bombs on green TI, backing up green TI adjacent to two red TIs which had previously given out. Stood off awaiting instructions from Controller who had stopped bombing just after aircraft had released. Bombing appeared inaccurate, some sticks a few miles south, some out to sea, possibly due to cloud layer. Illuminating flares poor. ME625O Up 2332 Down 0326. 9 x 7 x 4.5” clusters, 6 x 500lb MC, 3 x 4.5” reco flares. Target Argentan, northern aiming point, tops 8,500’, 6,000’ base. Haze below. Located by markers. Flares (which we were only to drop on order) not needed. Target marked with RSF assessed as 40 yards/360 from aiming point. Ordered to bomb 0132.5 hours. Bombing seemed excellent although target very smoky. 9 x 7” flares, 7 x 500lb MC, 2 x 500lb MC (LD), 3 x reco flares. 10/10ths cloud, base 7,500’. Slight haze below. Location by markers. First flares released on Oboe. heard over VHF at 0001 hours, also on W/T (same time). 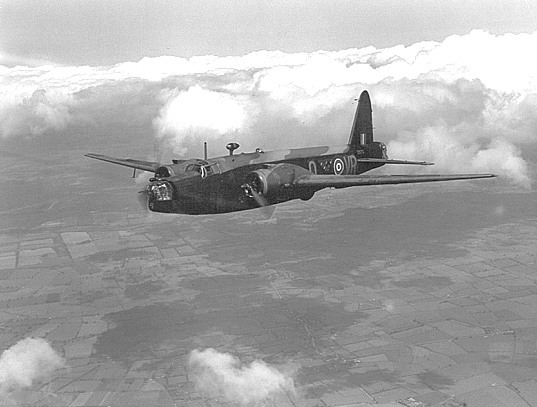 Ordered to bomb most easterly green with 200 yards under shoot at 0011 hours, after target had been re-marked. Green in bomb sight and a RSF beyond it further east with another green west of green bombed. Unable to assess attack owing to smoke. ND625O Up 2232 Down 0431. 9 x 7” clusters, 1 x 1000lb TI red, 1 x 1000lb MC, 4 reco flares. Sky patchy, thin stratus, some haze. Identified target by markers. Over target marking flare run, Controller asked Backer 1 (0142.5 hours) to drop red TI on aiming point west of RSF already down. Position as described by Controller was two RSF in line with green TI between slightly nearer most north-easterly RSF, all three being in line along direction of railway but on easterly side of it. Our marker assessed as 40 yards west of aiming point (0148 hours). Instructions for bombing followed immediately. Further flares cancelled. Own run for MC bombs okay. Bombing appeared very successful. A few sticks fell exceptionally wide in centre of town. Controller assessed quickly and accurately. Part Two to follow in the near future. Clearly, Dame Agnes too had felt the same attraction to those three black birds. 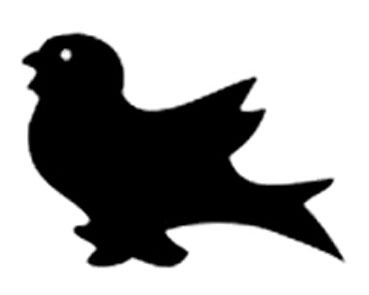 For some still unknown reason, three black birds were beginning to have very strong connections with Catholic piety and Catholic saints. Hanging Thomas à Becket’s choughs over the mantelpiece would not have been a problem in the early days of the sixteenth century when England was Roman Catholic, and owed its ultimate allegiance to the Pope in Rome. With the coming of the Reformation, however, things suddenly became very different. The Head of the now Protestant Church was now the King himself. 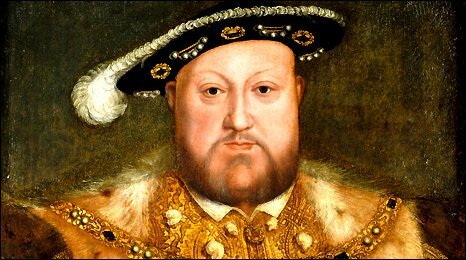 Henry VIII would not have wanted any reminders whatsoever about a prominent member of the now hated Catholic Church, who was murdered at the behest of a king called Henry, but who, eventually, was destined to triumph over him. Only three and a half years after the dirty deed, on July 12th 1174, the other Henry, Henry II, had had to carry out a public penance at Becket’s tomb and at the nearby church of St. Dunstan’s. The two churches became the most popular sites for pilgrims in the whole of England. King Henry VIII would have wanted absolutely nothing like this in his own reign. Dame Agnes’ favourite coat of arms would now have become much more of a problem, not for Dame Agnes herself, because she had died well before 1527, the year when Henry first asked Pope Clement VII for an annulment of his marriage to Catherine of Aragon. 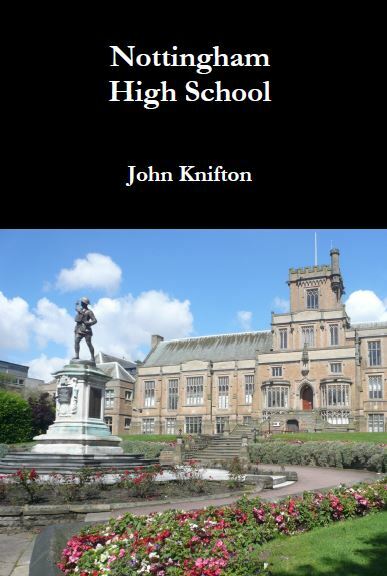 Instead, it would have been the fledgling school which might have faced problems. After all, those three black birds are a bit of a giveaway. Nobody was ever going to be mistaken about whose coat of arms they really were. 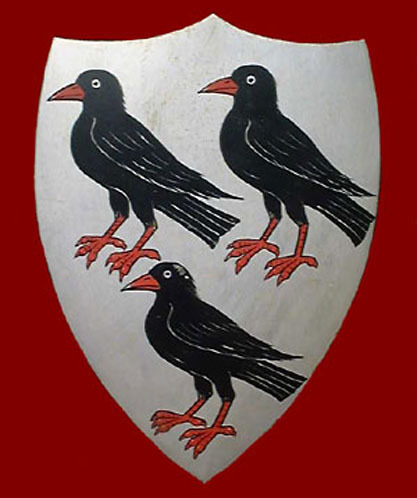 Over the years, I think that the red legs and red beaks of Becket’s three choughs would probably have been allowed slowly and gradually to be forgotten, most likely once Dame Agnes herself had passed away, in probably April or possibly May, of 1514. In an area where choughs have probably never nested, namely the East Midlands, local people may not have considered their bright red legs and beak to be particularly important. 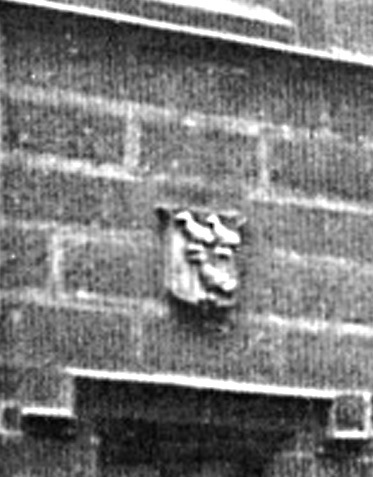 Furthermore, in many cases, the birds would have been seen in a grayscale context where bright colours were totally absent, such as a carving in stone on a wall, or a drawing in pen and ink on a manuscript. 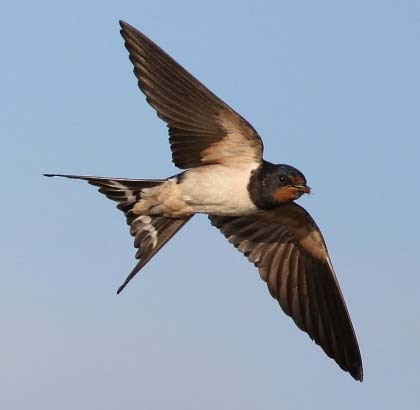 It is never represented with feet, the legs terminating in the feathers which cover the upper parts of the leg. Furthermore, many heraldry books also state that the “martlet” has no obvious beak, a useful detail if you are trying to tone down a large long bright red one. Interestingly, some experts in Heraldry see a family tree which fits in quite neatly with my argument. 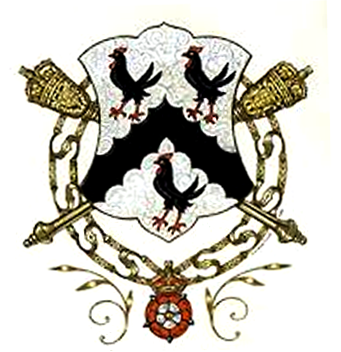 In French heraldry, therefore, a blackbird may be a “merle” because that is the ordinary French word, even nowadays, for a blackbird. 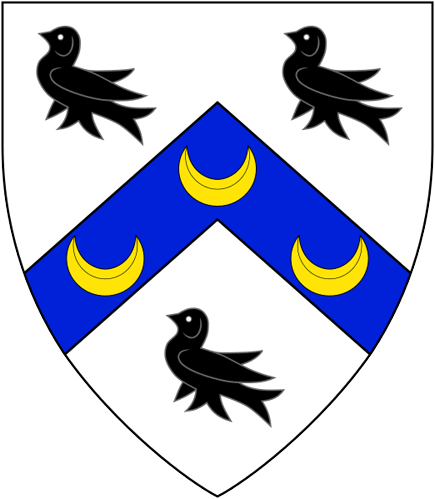 When the bird on the shield loses various bits of its body, it is called by a diminutive form, namely “merlette” and this then becomes the “martlet” of English heraldry. 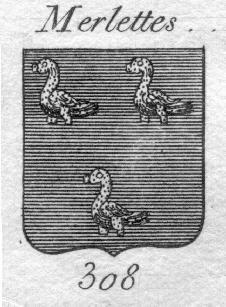 The martlet in fact became commoner and commoner as it was used to indicate the arms of the fourth son of any particular nobleman. arisen. The choughs of Thomas à Becket have, over hundreds of years on a wall a long way from Canterbury, gradually lost their bright beaks and legs and people have thought that they must be “martlets”. As a word, of course, “martlet” is not a million miles from “merlette”, and “merlette” is not a million miles from “merle”. “Merle” is not a million miles from Mellers. 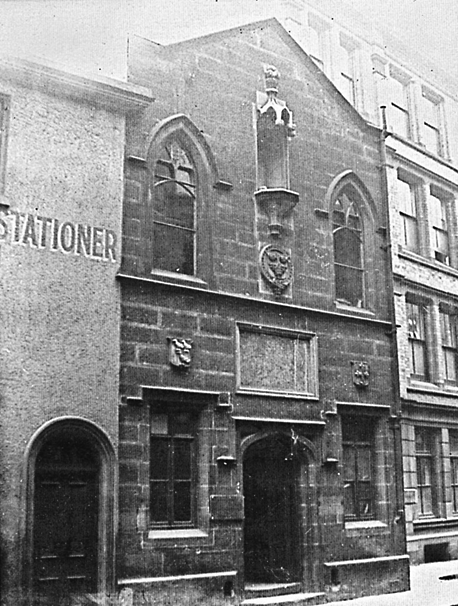 It is this pure and total coincidence which has led people, always looking for logical explanations, to invent the story about the “merles” representing Mrs Mellers, creating an explanation that is historically and heraldically impossible. 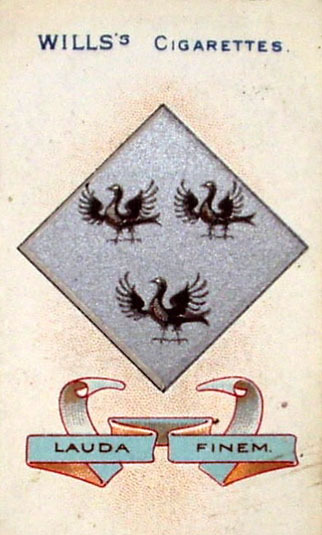 There have never been any “merles” in English Heraldry, either in this century or in the sixteenth. The beauty about my ramblings is that they do explain away, quite effectively, a completely unrelated incident which has puzzled an admittedly tiny and fairly sad group of people over the last few decades. 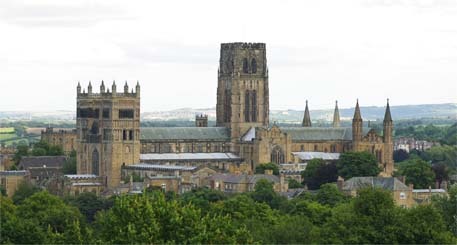 In the school archives, there remains an account of how a long forgotten Old Nottinghamian discovered what appeared to him to be Dame Agnes Mellers’ coat of arms, carved on the roof of the cloisters at Durham Cathedral. This was the only coat of arms in the whole cathedral which the local experts in the north east had failed to identify. 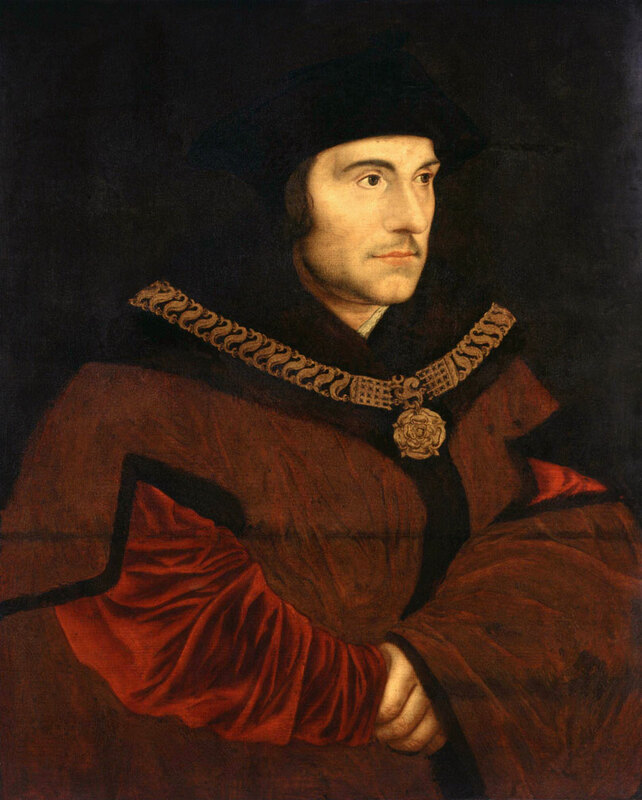 The only link of any kind which could be established between Durham Cathedral and Nottingham was the fact that Richard Barnes, Bishop-Suffragen of Nottingham in 1537, eventually became the Bishop of Durham. No connection whatsoever was discovered though, between Richard Barnes and Dame Agnes Mellers.